The 5100 block of West Point Loma Boulevard is the frontlines in OB’s efforts to hold back gentrification – it’s the block where the City has been granting variances to property owners who wish to build McMansions on the block. At their Wednesday night meeting, OB Planners will decide on whether to call for an immediate moratorium on variances granted by the City of San Diego on 25 foot front lots. At 6:55 pm on the Planning Board’s agenda for August 1st, is Information Item 002 – which is when and where the full Board takes up the recommendation of its sub-committee on the matter. The sub-committee – formally called the Project Review Committee – is recommending that the Board request an immediate moratorium on variances in certain areas of Ocean Beach. The areas include the RM 2-4 zone, the FEMA 100 year Flood Plain A, lots without alley access, and on substandard or 25 foot front lots. The Project Review sub-committee took up this issue at its last meeting on July 18th and decided then to bring their recommendation to the entire Board. The sub-committee will recommend this immediate moratorium in order for the Board to work out some kind of solution with City staff about the problems with these specific parcels. The issuance of certain variances by the City – especially along West Point Loma Boulevard in northwest OB – has been a key focus of this current conflict between OB’s elected planners and city staff that has been simmering for well over a year. By the City’s granting of variances to a few property owners along the 5100 block of West Point Loma Boulevard, it has allowed them to circumvent the OB Precise Plan – the guiding urban planning document for the community. The Planning Board is pledged to uphold the Precise Plan. It is clear that the City of San Diego and this Mayor’s Administration have supported a develop-at-all cost agenda and have been working to eliminate the very design regulations that many OBceans believe have kept the Ocean Beach community character intact for almost 40 years under the community approved Ocean Beach Precise Plan. If the OB community doesn’t make this a priority soon with our elected officials, it will confirm that this is no longer an issue for the community and we are ready to build and grow with full disregard for that nostalgic sentiment. I don’t agree that if we put this issue to a referendum of the community that it would be upheld, which is why the City continues to proceed by approving this series of variances instead of properly changing the code to represent their desires to increase the bulk and scale of the community. However, the City has refused our request for said referendum or hearing to date. 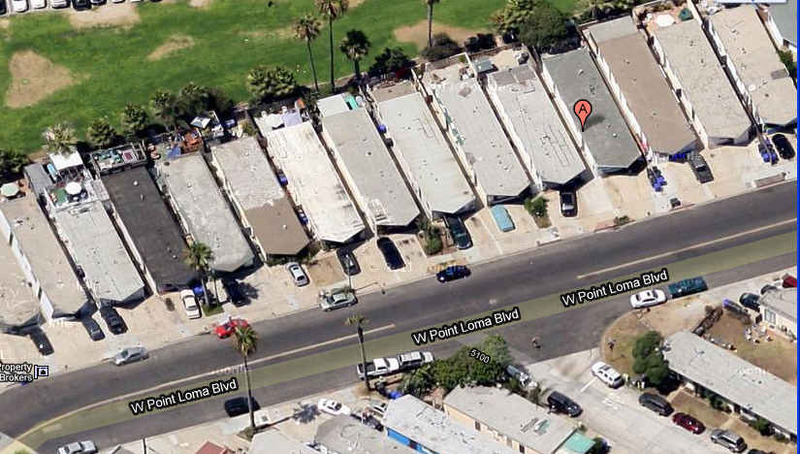 Ocean Beach Planners Reject Latest Attempt to Gentrify West Point Loma Blvd.